billie by Rainbow Club | Wedding Shoes by Rainbow Club | Bridal Shoes by Rainbow Club from Arabesque. 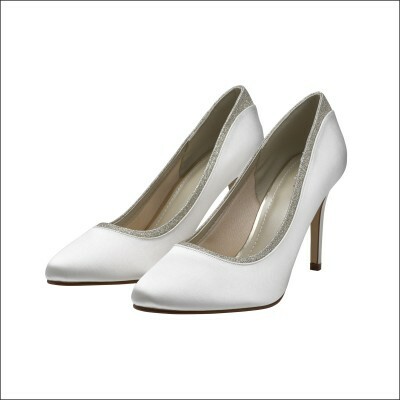 Billie by Rainbow Club - a stylish court shoe with silver shimmer detail around the top. This Rainbow Club shoe has the added BLISS signature padded linings and insoles for ultimate comfort.